Kentucky had an uncharacteristic, but very welcomed warm-front in late December. We take full advantage of those around here! I’m all about sharing the beauty, joy, and excitement of the world, so I made sure to capture much of our picture-perfect day at the cabin while working with my folks’ bees. They say a picture is worth a thousand words. If that’s true, then here are about a million of the sweetest words. 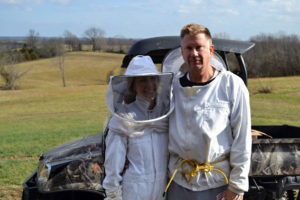 With my dad– the bee whisperer. 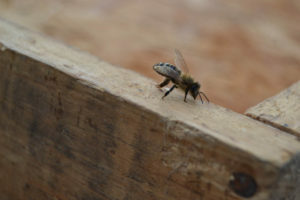 The bees are busy collecting pollen and nectar when it’s warm outside. 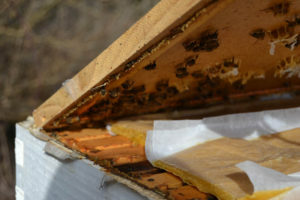 Lifting up the inner cover to check on the bees. 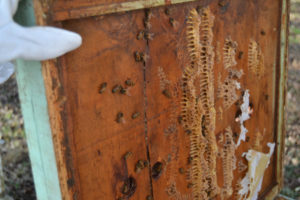 The waxy-looking paper to the left and back of the picture are the remnants of a sugar-patty that was given to the bees in November. When it’s cold and the bees can’t leave the hive, they are supplemented by these sugar patties. 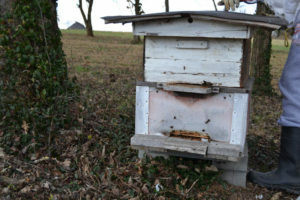 Beekeepers everywhere are helping with worldwide bee colony collapse. Pictured are some new sugar patties we placed. 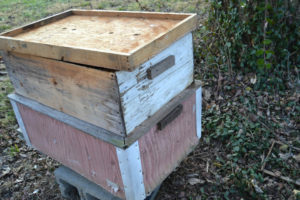 If the bees don’t need them, they’ll remain on top of those frames. 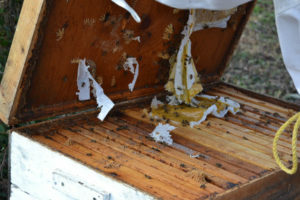 Here is a frame from another hive we checked that has a “super” or “extracting box” on top of it. 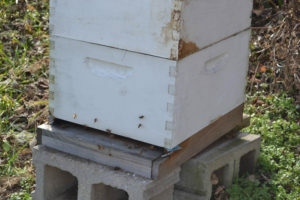 A super is separate than the main (larger, bottom) hive boxes. This is where we would get our honey at harvest time. 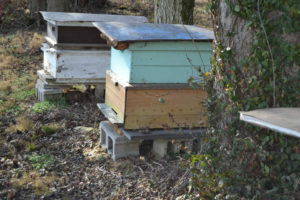 These are Ukrainian hives. They’re larger and have more frames on the inside (thus: way heavier). I love their look and how they’ve been painted and since faded over the years… so I took a ton of pictures of them. 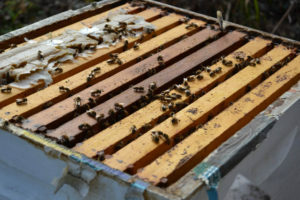 At the peak of summer, each hive may have as many as 60,000 bees. It’s winter now, and that number is much reduced. Either way, I need to thank Ball-Ball for waiting and holding a very heavy hive cover so I could take a picture of a single bee. Thanks, Dad! 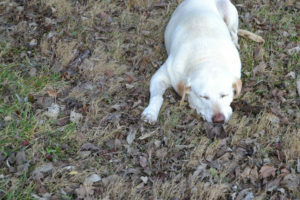 And Kato in his white bee suit sleeping (as usual) on the job. 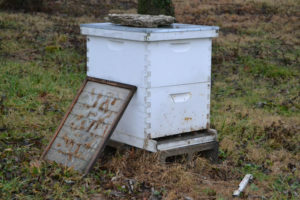 Posted in Beekeeping•Tagged bees•by Neena•2 Comments on If a Picture is Worth a Thousand Words, Here are Million Sweet Ones…. I sure do! First, check city ordinances to make sure you are in a permissible zone. 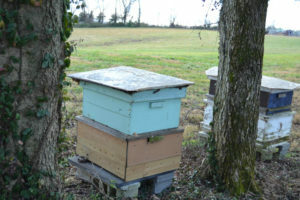 After that, beekeeping only takes a tiny bit of space! 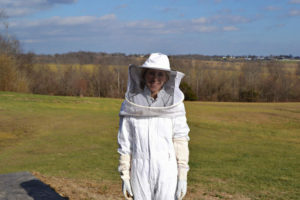 I love “Beekeeping for Dummies” (though I’m not overly fond of the title). 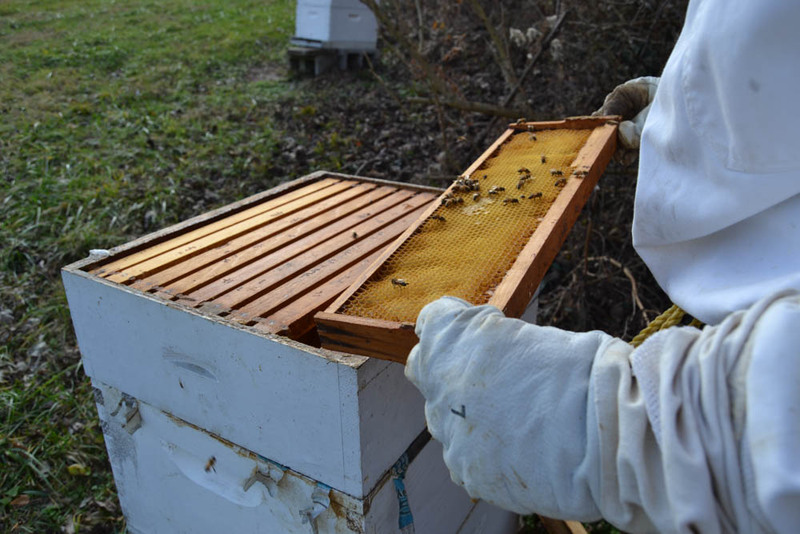 This book highlights several options–urban beekeeping and observatory options to the larger operation. Also, follow along with us here. 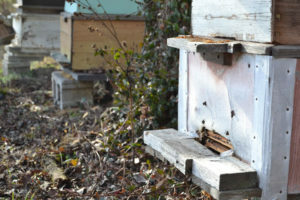 In the Spring, the bees (and then we) will really get buzzing. Best of luck becoming a NewBee!